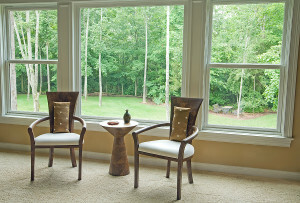 In regard to energy efficiency, our replacement windows are as good as it gets. They all bear the ENERGY STAR label and are produced by trusted manufacturers like Ply Gem, eShield™, Simonton, and Wincore. And, each window we install is custom fitted to the openings in your walls to provide a perfect fit while helping to minimize energy transfer into and out of your home. If you’re interested in having Green Machine install replacement windows in your home in St. Augustine, please contact us today for a free consultation and pricing. No matter if you’re looking to have just one window replaced, or if you’d like to replace them all, we can handle the work professionally and efficiently for you.